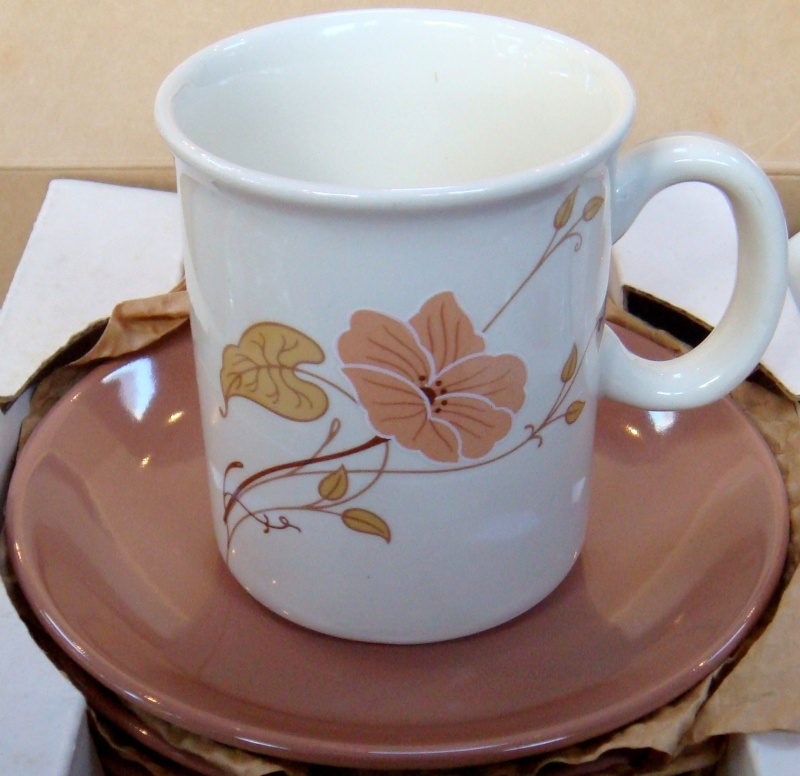 Will add the cup and saucer to the gallery if anyone agrees? 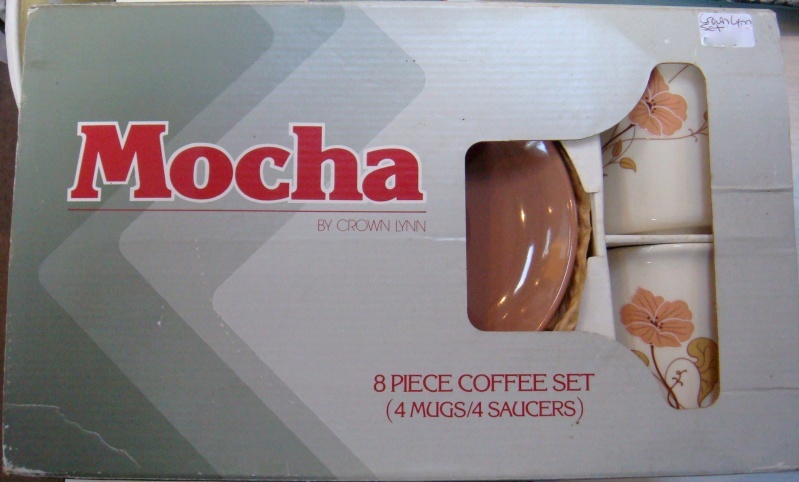 I totally agree that the saucer is Mocha d00097, but as that is a colour glaze number and name - I don't agree that the cups are called that too. 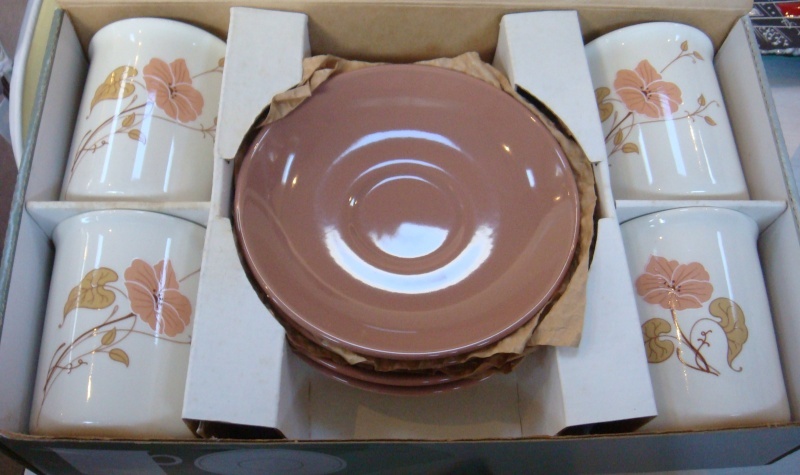 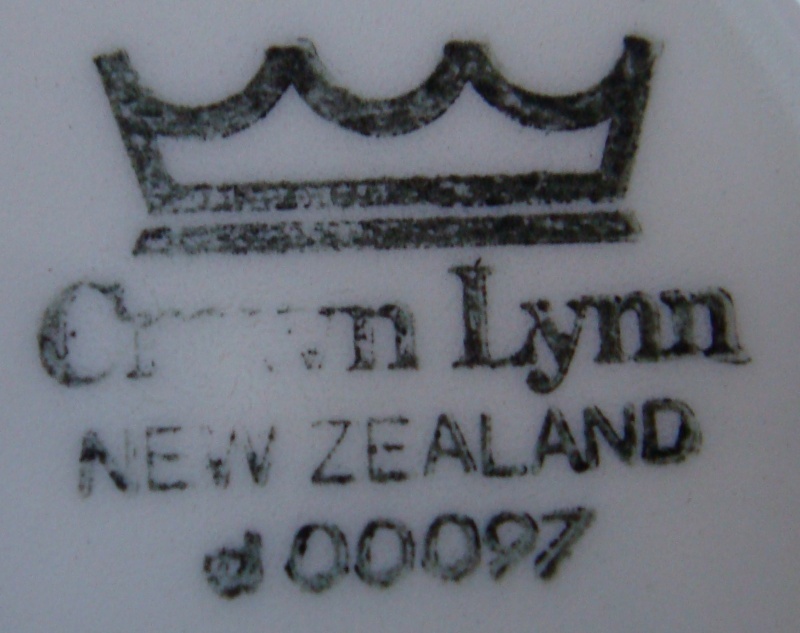 Crown Lynn sold umpteen different Mocha boxed sets of 8 pieces all under that name - All with different patterns and colours, so I assume they were a range of 8 piece sets .....? 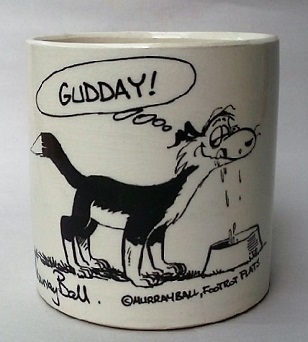 You are right Marl, of course!